When I arrived at Columbia, the first thing I did was drop my bags in my new dorm room. The second thing I did was stand in line at Absolute Bagel for twenty minutes. 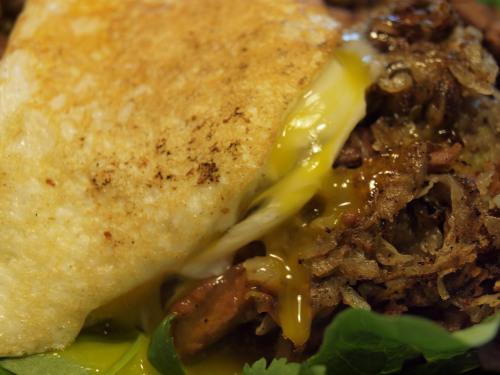 9:38 a.m. and it was time for breakfast, a meal that reasserts its persistent necessity every morning hour. Since I eat breakfast three or four times a day, I like to try novel dishes. A serving of Pride and Prejudice, a scoop of cheesy grits, and a generous helping of The Red and the Black, green figs, yogurt, coffee, very black. Enough for first breakfastses. There’s a new item on the Absolute menu, a whole wheat everything bagel. I ordered it out of psychotic compulsion. Waiting to fork over my greasy creased $1 bill, I palmed the brown paper bag: baby’s breath hot, an auspicious sign for crusty bagel skin and steaming doughy meat. After a three month stretch of sobriety, a New York bagel fix felt so wrong, felt so right—on the sidewalk, I dragged the bagel from its bag and took an eyes-closed bite. Grunting in pleasure, I weaved between pedestrians oblivious to my Absolute high. I liked it. My dendrites untied their own knots; my fingers flexed off onion garlic and sesame scent like a ballerina unlacing pointe shoes from ankle to metatarsal, unwinding pink ribbons in little curls around the thumb. Michael Symon cooks with soul. Or so Michael Ruhlman famously proposes in his book The Soul of a Chef, and so Food Network has carefully engineered his “brand” over the past years. Supposedly Symon, a Food & Wine Best New Chef 1998 and member of the Iron Chef America cast, inflects his food with boisterous energy that leaves little room for subtlety. He is a gentle giant, shaven head, booming smile that shows too much tooth. He is, to employ the cliché, larger than life. 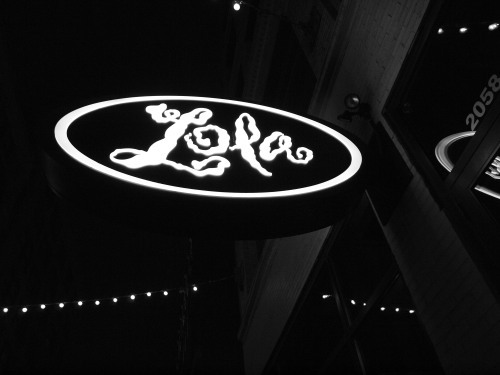 While no longer in the kitchen at Lola every night, his presence looms over the menu and casts a shadow across the dimly lit dining room. Lola belongs to Symon, he possesses her, and thus his celebrity chefhood never feels phony. Although the restaurant, much like Symon’s television personality, feels overly tweaked, an admirable layer of authenticity persists. If Symon himself appears absent, his soul remains present, lending the food itself a similar degree of depth.